This has it all. All the chocolate. Inside and outside. There’s cocoa, melted chocolate, chocolate chips, ganache, you name it, it’s in here! The batter was huge, the cake is huge, and it’s so soft it just melts in your mouth. 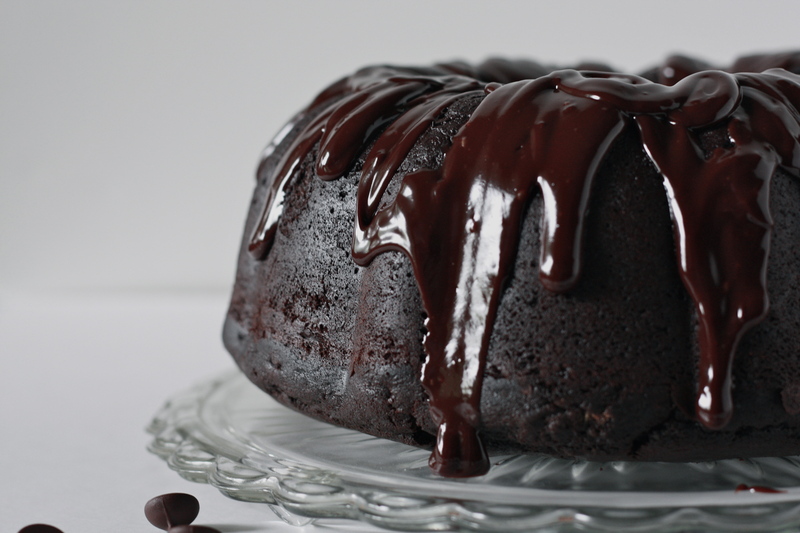 I saw this recipe and instantly had a chocolate craving that could only be cured by this cake. The original called for sour cream, but I thought greek yogurt sounded better. Plus, now it’s a high-protein cake so it’s healthy!